When negative fears and emotions arise, speak to your physical cells telling them that it is a new time in which they no longer need to retain intense and often fear filled energies from the past in order to warn and protect you. 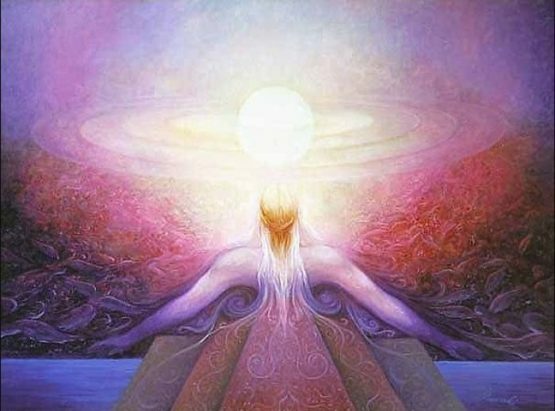 Lovingly inform them that these old energies are no longer necessary and that you want them to be replaced with frequencies of Light that reflect the physical body’s Divine blueprint. Fear and anxiety is never yours personally. Only the sacred qualities of Source are personally yours. Everything else represents the accumulated energy of the masses from hundreds of lifetimes lived in ignorance that created a consensus consciousness based in good and evil (duality), and separation. How could an Omnipresent God limit ITself to manifesting through only one person? Since IT is all there is, where would the rest of mankind come from? This myth, a false concept still perpetuated and accepted by many, represents the belief in separation and promotes ideas of being “less than” by those who seek power over. Every soul at some point will experience a personal Christmas, the birth of Christ consciousness within. For many it will not come in this lifetime but sooner or later it will because of who and what every person is, always has been, and forever will be–One Divine consciousness manifesting ITself as infinite form and variety. Every soul embodies the fullness of all that God is regardless of how many lifetimes lived or still being lived under the veils of duality and separation. Never doubt that you live forever. Can an Omnipresent, Omnipotent, Omniscient God die? The lives you chose to live in third dimensional energy are and always have been simply educational pauses in your eternal life meant to bring you to where you are now–prepared for your personal CHRISTmas. You have graduated beyond the seeking and searching that was necessary at the beginning of your spiritual awakening. You now understand that everything you sought for over lifetimes was and is already present within you. Rather than continuing to search and seek, it is time to live the truth you know in every aspect of “ordinary” every day living and ceasing to judge some experiences as good and others as bad. This entry was posted in Uncategorized and tagged attained state of conscouness, birth of Christ Consciousness, do not resist unwanted thoughts as, love, Marilyn Raffaele, outer appearances, reman of energy fronm past lives, tumultuous times og confusion and strife. Bookmark the permalink.